The Moon and Saturn today will share the same right ascension and will be visible in this morning’s sky. Saturn, the planet of Karma and responsibility, will fully manifest for the first time in 29 years, being home in Capricorn, the sign which it governs! Karma is the age-old theory of getting what we deserve based on our thoughts and actions. Practice kindness and compassion. 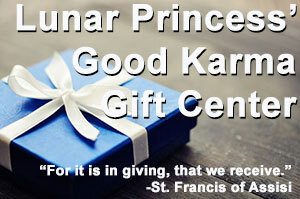 Never underestimate the power of good Karma! This magnificent, Full Strawberry Moon reflects movement and growth. We all have good intentions. We intend to accomplish so much, but unless we start out with a realistic estimate of what we are capable of doing, we fall far short of our expectations. Intentions are different than results. Good comes from results. We want others to judge us by our intentions, yet we judge everyone by their behavior. Your intentions do not matter. If your behavior demonstrates honesty, integrity, character and commitment when dealing with others, they will automatically know that you have good intentions. You can have the best of intentions and make all of the promises in the world, but in the end, people are going to watch what you do. It’s a day for doing. Help someone who cannot help you back. You will be rewarded in other ways. It’s a day for growth and good Karma. People born on June 18th are confident and always seem to be seeking new and exciting experiences. Experience is your teacher, and you’ve learned to understand human nature by observation and social contacts. Although you can be romantic, you are not always good at expressing your more intimate feelings. You have power and respect from others because you always play fair. Daily thought for June 18th: Measure yourself by your best moments, not by your worst. We are too prone to judge ourselves by our moments of despondency and depression. We are better than that.